Great experience with Greenville Pavers. Started when they promised and finished in record time. Our patio, firepit and walkways are just perfect. The crew was professional, courteous and very knowledgeable. I would highly recommend them to anyone looking for quality hardscape work!! Excellent service, and working with Phil and Roy was very easy. Two excellent men who did a fantastic job with our pool and patio. Would recommend them to anyone. We could not have asked for a better company for our patio/fireplace project. Phil was a pleasure to work with. He showed up on time for the initial consultation (other companies we contacted showed up late or never at all). He was very professional and knowledgeable. He answered our many questions and was hands-on during the entire process. He was never high-pressure, and he offered suggestions on how to make our outdoor space even better than we could have imagined. His crew was excellent! They showed up at a reasonable time and cleaned up the worksite at the end of every day. They were always polite and answered any questions we had. The foreman kept us informed of all that was going on and asked for our input on different design elements (seating wall height). The project was finished earlier than stated and on budget. The patio exceeded all our expectations, and we look forward to using it for many years to come. We have not one single complaint from start to finish. These guys do great work!!! Excellent work. They detailed and cleaned the site well. They started when they said they would and finished early. As with any project, the process can be messy, but the end result well worth it. It is beautiful and has enhanced the look of our pool. We are thrilled with our new patio and the work the team at Greenville Pavers did to transform our backyard. Wish I could give them more than 5 stars. Attention to detail, impeccable design, friendly and reliable team. The list of positives goes on and on. We love our new patio!! Phil and his crew were great to work with and made sure we loved the final outcome! Great experience. The team working on our paver project was the most professional, hardworking crew I’ve ever encountered. The finished job looks better than I could have imagined. I will recommend them to everyone. Excellent workmanship and attention to detail. Joe took a lot of time helping me choose the perfect pavers for my front walkway and porch. Love the finished product. Highly recommend Greenville Pavers. Phil was extremely communicative and honest throughout the process. Phil runs his business with integrity, and it was a pleasure to work with him. He and his men were professional and quick and produced a beautiful patio that I will enjoy for years to come! Greenville Pavers did a fantastic job. They arrived when they said, they finished when they said, and the quality is awesome! Phil explained everything that was going to happen from beginning to finish. His crew was professional and tidy. They worked to keep my grass intact and removed and put my fence back seamlessly. I would recommend them to anyone looking for great service and quality work! We have had several paver companies give us quotes and show us various ideas for our patio space. Phil and his team were the most responsive, working way past normal hours to assure our questions were answered and vision met. His crew arrived as expected, worked very efficiently and were committed until the job was finished. Very hard-working crew. The team leader handled any concerns I had and was present to handle details. Our patio has turned out to be great usable space. Highly recommend! We had a great experience with Greenville Pavers. Phil and his team were very professional! Their work was very meticulous and well thought-out. The patio turned out even better than we expected! He even went over and above by putting in drains to help with water erosion. We would definitely use them again for future projects! My wife and I were extremely happy with the job that Greenville Pavers did at our home. Our retaining wall and paver driveway extension look amazing. The guys worked extremely hard and cleaned up at the end of every day. They are very knowledgeable and detail-oriented craftsmen. I would highly recommend this company. Greenville Pavers did a fabulous job on our fire pit. The employees were courteous and discussed the process with us as they were installing. They exceeded our expectations by completing the job within a week. They cleaned up every day before leaving and showed up bright and early. We have had many comments on the fire pit already. Absolute pros. Amazing attention to detail. Would recommend them to anyone. Thanks for a fantastic deck and walkway! Perfection. Phil and his crew exceeded our expectations in every way. The guys worked all day and even used lights from their Bobcat machine to work through the night to get the job done in record time. Our new fire pit is beautiful, and I know we will enjoy it for years to come. This is the first time I’ve ever given a 5 star rating for anything, much less a review. I work with contractors for a living, and I can say I have never been more impressed by a crew. Look no further than Greenville Pavers for your project . . . truly second to none! Phil and his team installed a 1,350-square-foot patio and fire pit behind our home last week. My wife and I absolutely love the work that was done. It’s the attention to detail that sets our patio apart from a lot of other patios I’ve seen. Thanks for the great job, guys!!!! Looking forward to the cool nights and a good cup of coffee coming up! The Greenville Pavers team installed an 82-foot-long x 5-foot-8-inch-high block retaining wall with lots of earth excavation, a 700-square-foot combination paver patio/walkway, and an underground drainage system. Not a small project! Phil & his team were professional, proactive, courteous, hardworking with an eye towards perfection, and even did a great job of project clean-up. I cannot say enough good things about my experience. I would definitely recommend Greenville Pavers for any hardscape project! Great experience with Greenville Pavers. Started when they promised, and finished in record time. Our patio, fire pit and walkways are just perfect. The crew was professional, courteous, and very knowledgeable. I would highly recommend them to anyone looking for quality hardscape work!! Phil and his crew were prompt, hardworking and thorough. They are true craftsmen. They started the job when promised and completed it as promised. Great working with them. Highly recommended. The team from Greenville Pavers built a beautiful, 600-square-foot paver block patio for us in Easley. They helped us with a design that maximized our available space. They’re professional and courteous, and they cleaned up the job site very nicely. We highly recommend Greenville Pavers. – Russ and Missy W.
Awesome experience from beginning to end. They even came back to fix an unforeseen issue. Amazing customer service. They did a great and professional job setting about 1,000 square feet of pavers at my house!!! Phil and his team were absolutely fantastic to work with — extremely responsive, timely, and most importantly, provided high-quality work. On extremely short notice, Phil was instrumental in providing us a great outdoor area in time for us to enjoy it for an event we’re hosting this weekend, as well as all summer long. We love the final product and are so appreciative of his efforts and the hard work of his team. 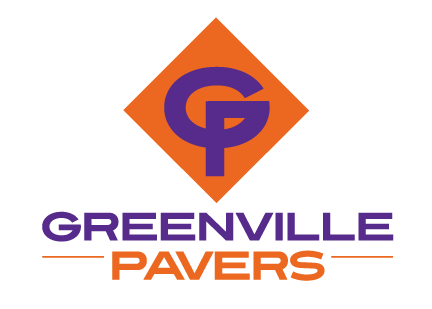 We highly, highly recommend Greenville Pavers.